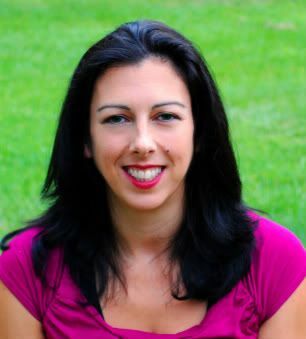 Lisa Douglas of crazyadventuresinparenting.com was featured in our live #HolidayHangout on Google+. You can watch our hangout here for more holiday ideas! Amidst all the presents, parties, get-togethers, celebrations, and spending time with loved ones, there are moments of pure holiday magic, particularly ones we experience year after year. I personally love holiday decorating, making festive crafts, attending holiday events, and taking part in anything and everything I can find to help spread (and receive) holiday cheer. The build up to the holiday is, by far, my favorite, especially with secretly planning surprises for my family. But it’s looking forward to those same traditions we do every year that are equally my favorite as well. The older children always get more and more involved every year, getting more excited with each tradition. “Mom, when are we going to do that? Or this?” And I love to see that twinkle in their eye because of it. The holiday magic begins with just before Thanksgiving, where we decorate and invite single soldiers to come celebrate Thanksgiving with us if they can’t get home (or have no place to go). This year is shaping up to be our biggest yet! Each year, we set up the Christmas tree together as a family listening to Christmas music. We enjoy placing each one of the collected ornaments we’ve purchased. Every year, we buy a new one (or more), usually to commemorate things that have happened to us. The year my son started band, he got a treble symbol for the tree. The year we bought this house (our first), we bought an Our First Home ornament. The year we traveled to Disney as a family for the first time, we bought a Disney Parks ornament with the year on it. Our homemade tree is quite the mish-mash collection of memories and handmade items from the kids. As soon as December hits, we start counting down the holiday with our advent calendar. We rotate which child gets to mark off a day closer to the holiday. We do a huge cleaning purge before the holidays, too, to donate a lot of unused stuff to others who could use it, as well as buying for Toys for Tots and donating to the Red Cross and Feeding America (my personal, monthly charity of choice). We also choose to wrap ALL the gifts, even the stocking stuffers and little ones (like crayons, markers, coloring books, hair pretties, jewelry), just because kids LOVE to rip. This has been a family tradition since I was a child, and it’s one I adore carrying on with my family. In addition to staying up all hours of the night on Christmas Eve wrapping presents, we also do funny name tags between my husband and myself. I’ll address his gifts to “Gibbs” from “Abby” (of NCIS fame). Or I’ll address his to “Batman” from “Robin.” Or “Mickey” from “Minnie.” Or “Schmoopsypoo” from “Googly Bear” (from Monsters Inc). Or, we’ll get extravagant with other, gift-related relevance; one year I gave him a Madden football game, and address it to “Ben Roethlisberger” from “Hines Ward.” Or, when brain cells are ceasing to function, we’ll just start throwing out “To the Husband” from “The Wife.” Ha! Baking cookies for our family, friends, and neighbors is a yearly tradition, as well as setting out cookies and milk for “Santa” from the kids. But another one is that “Santa” has never failed to leave a “thank you” note to the kids for the treat, complete with lots of crumbs on the plate with an empty milk glass. My husband (ahem) really enjoys that “second wind” when he’s droopy from wrapping all night. Our newest adopted tradition is to cook a special breakfast in the slow cooker, so our weary, gift-wrapping selves can wake after zero sleep to a hot breakfast we don’t have to mess with in order to serve our kids and ourselves. Do you have any holiday traditions with your family? I’d love to hear what you do with your kids during the holidays to help build on that oh so fantastic holiday magic. Lisa Douglas is a mother to seven and Army wife living in San Antonio, Texas. You can find her regularly MacGyvering things back together using shoelaces and bubble gum with a breastfed baby on her hip, all while cooking from scratch and pretending her hair color isn’t from a bottle. Passionate about healthy living, she uses natural cleaners, eating all-natural and organic foods most of the time. She find sanity in gardening, baking cookies, working out so she can eat bake more cookies, playing with her family, and writing about all her parenting (mis)adventures at Crazy Adventures in Parenting.